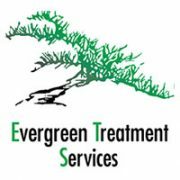 Partner Highlight- Evergreen Treatment Services (ETS) Supports..
SMART Management, Inc. and SMART Software would like to recognize SMART’s partner Evergreen Treatment Services (ETS) for their contributions to the innovative Seattle based program Law Enforcement Assisted Diversion, or LEAD. Officials in Seattle have joined forces to make a real difference in a “traditional” process. Established in 2011, the LEAD Program has helped to address the cycle. Often when drug users are arrested, the threat of jail simply is not enough to stop the behavior. The LEAD Program gives offenders the choice between the detainment cycle and the opportunity to meet with a counselor for an assessment. After the assessment, they may be referred to the following; enrollment in a drug treatment program, housing assistance, and/or educational opportunities. 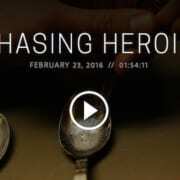 “…if the person chooses to take advantage of the LEAD program, the police calls the project lead at Evergreen Treatment Services (ETS) /REACH project. An ETS staff member will bring the individual to the REACH office treatment center…” (2) The hope is that these individuals will spend their time in the program recovering from their addiction and setting new life goals. These positive results are already being seen amongst participants thus far.